1977 Omega watch with “TV” screen dial. Product code: 1004 Categories: Sold Items, Sold Omega Watches. Here is a fantastic vintage Retro styled automatic Omega watch made in 1977. Fitted in a stainless steel case with what is sometimes referred to as the “TV” screen dial, the dial itself is the very sought after black colour with the quick set date. 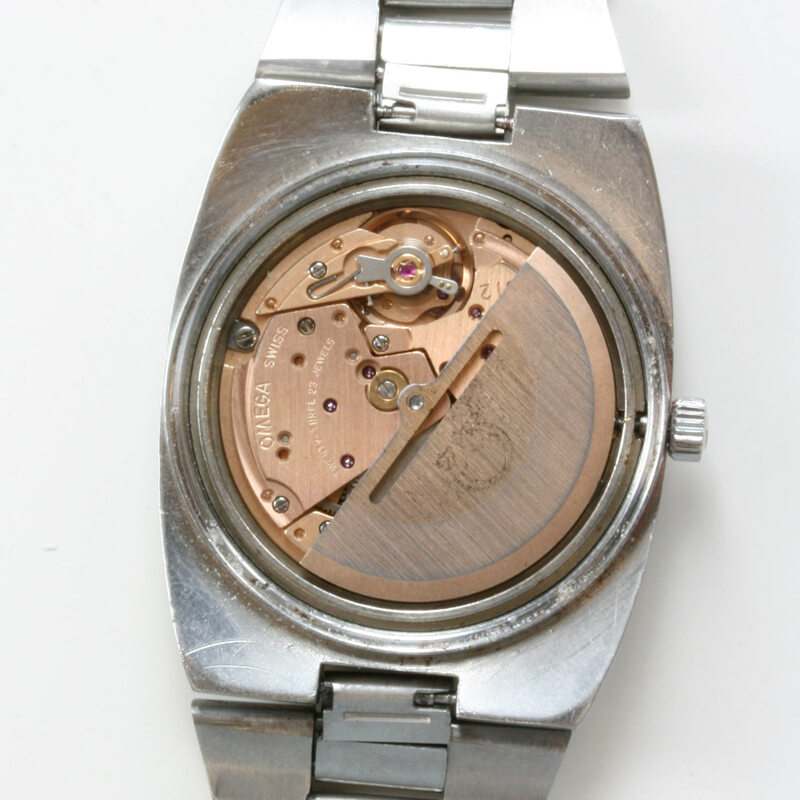 From the Geneve series of Omega watches, the case measures 34mm across (plus the crown) and has the original Omega band. This great looking Omega has the 23 jewelled automatic Omega movement, calibre 1012 which runs perfect and has a hack setting as well. If you are after a great looking retro Omega from the 1970’s, then this one may just be the Omega that you have been looking for! 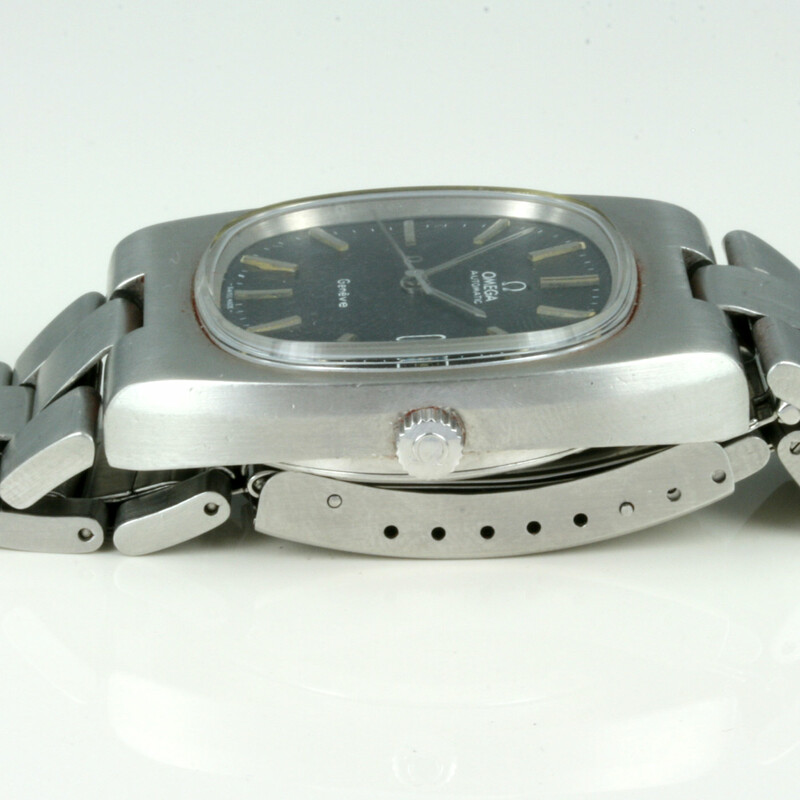 Make and Model: Omega Geneve.